DCFR collaborates with like-minded public and nonprofit organizations in order to meet its outreach goals. The DCFR has a proud history of working with the American Council on Germany to bring insightful speakers to the Denver Metro area to discuss a wide range of topics, from American and European relations to technology and security issues and more. Our partnership allows members from both organziations to engage subject matter experts and discuss transnational topics that extend across the Atlantic Ocean and the globe. Find out more about the American Council on Germany. Since 1995, the Pacific Council has hosted exchanges on issues of international importance, convened experts and working groups to address pressing policy challenges, and built a network of globally-minded members across the West Coast and the world. Today the Pacific Council's roster includes current and former diplomats, industry leaders, media representatives, politicians, and scholars. Find out more about the Pacific Council on International Policy. 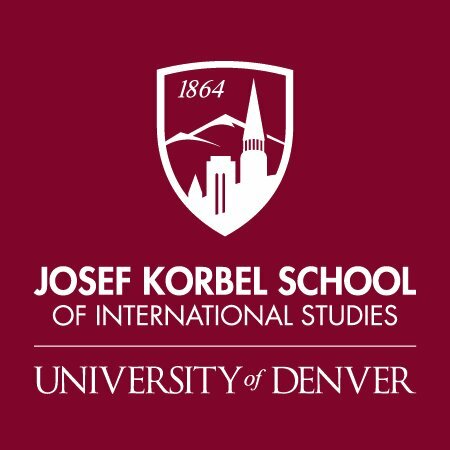 The Josef Korbel School of International Studies at the University of Denver is consistently regarded as one of the world's top global studies programs. Many faculty members, current and former students, and visiting professors stay engaged with the DCFR. Since it's inception, the DCFR has had a close relationship with the University of Denver. The DCFR gives DU faculty and students a platform to disseminate Academic research and the two organizations work towards a common goal of nurturing leaders of the future. Find out more about the Josef Korbel School of International Studies. DCFR, on behalf of a generous donor, provides three full-paid member Fellowships to a mix of students from the Josef Korbel School of International Studies at the University of Denver and young professionals from the Front Range.